Why You Should Be Coming To Vevolution Topics: Business This Month! Last week we announced the return of our epic Vevolution Topics series. This time it’s going to be bigger and better, as they’re being held at London’s iconic Roundhouse in Camden Town. We will be bringing together some of the UK’s leading plant-powered thinkers, to share ideas and stories to inspire positive change in the world. The events will be taking place over the next 3 months, and we’ll be kicking it off with business on the 24th of February. Entrepreneurship is a topic that is close to our hearts at Vevolution. A big part of our mission is to support incredible plant-based startups and entrepreneurs. 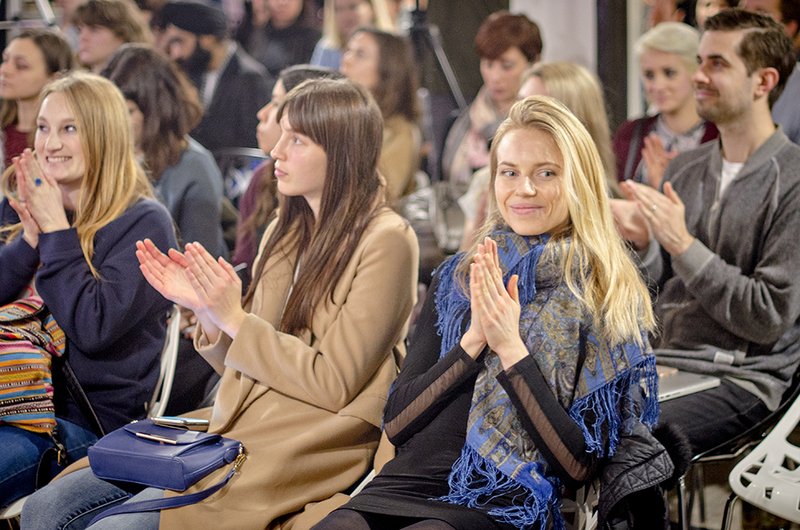 Our events focus on showcasing emerging startups and talented people by giving them free stall space, putting on events like Plant-Based Bootcamp, Pitch + Plant etc. The purpose of this business-themed event is to create somewhere welcoming & inspiring for plant-based entrepreneurs to share their stories, and for other entrepreneurs/aspiring entrepreneurs to come and learn. We take pride in the fact that our events are a place where you can come and meet your tribe, ask as many questions as you want, and educate yourselves whilst in great company. 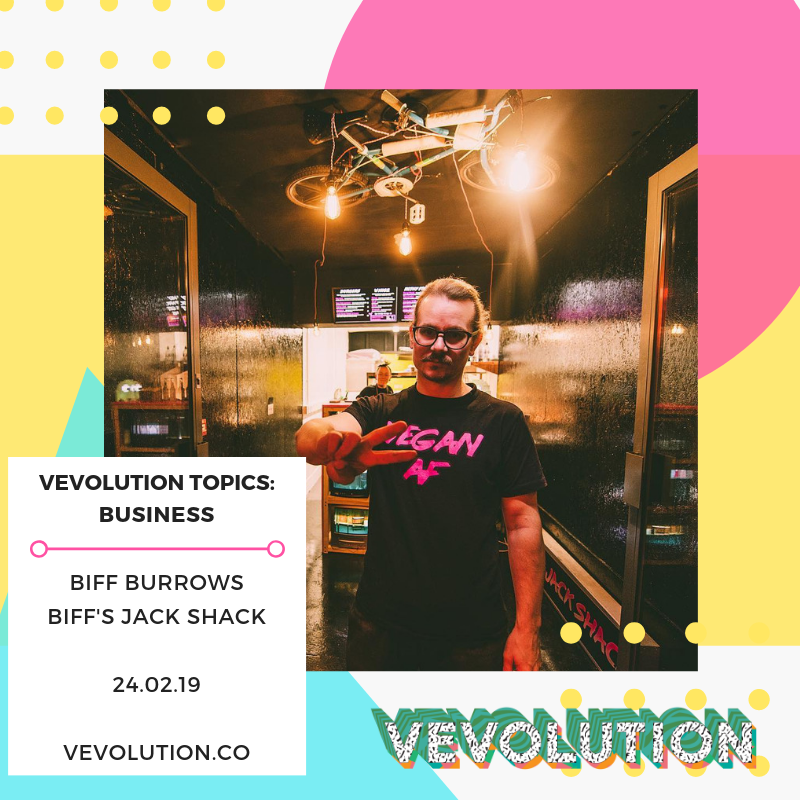 Biffs Jack Shack was co-founded by Biff Burrows, who will be talking about his amazing street food journey at the event. Biff and his partners journey to ‘jackfruit-based’ fame started in late 2016, when Biff first went vegan… Then it was all up hill from there! Self-confessed pea-enthusiast, Amber Fraser, launched BRAVE with her husband, Seb. They both carefully plotted their transition from their corporate jobs to running their own successful plant-based food company. Amber is going to be on the investment panel. William Brightman is co-founder of UpCircle, a 100% natural, vegan & cruelty-free skincare company. The brands focus is on sustainability (as well as making your skin look its absolute best) as their products are made from repurposed coffee grounds. William is going to be on the investment panel. As well as an investor, Stephanie Peritore, is the founder & MD of Mindful Bites, an innovative brand of plant-based snacks. Mindful Bites promotes a fundamental shift in how we approach food and eating, and basically rekindling our relationship with food through intuitive eating. Stephanie will be talking about how she quit a corporate tech career, and built her start up. After spending 14 years with Innocent Drinks, Paul Brown decided to launch his own business, BOL. Paul is going to be on the investment panel. The mission at BOL is to make it easy for busy individuals to eat more plants, especially when you don’t have time to cook from scratch. Our wonderful friends at PLANTED, Gabriella & Molly will be creating a Sunday lunch, which will include a sharing board to start and a delicious main. PLANTED are a plant-based start-up founded in 2016 by two friends located in Brighton. They cater for events, weddings, parties, retreats and photoshoots. They create the most vibrant, nourishing and, not to mention, beautiful food spreads! Founders of BRAVE, Amber and Seb, at Vevolution Topics: Business 2018. Older PostThe Vevolution Topics Events Are Back!